Tony was a cray-fisherman, vineyard owner and restaurateur… all at the same time! Needing a break from their own lives, the Dawsons sold their three businesses and became full-time property investors. However their initial forays into property were a bit all over the place, lacking strategy and driven by emotion. They purchased a grab-bag of deals – three properties in mining towns, a dodgy, off-the-plan apartment deal, a couple of sheds and even the house next door. In 2012, they joined Dymphna Boholt’s Ultimate program and started to turn it all around. Under guidance, they off-loaded some non-performing properties, took the plunge into their first joint venture, and have even got into commercial property development. And it’s worked. Having joined the Ultimate program with cashflow of just 2.5K p.a., they have since built a cashflow fountain of over $240K p.a., with a diversified equity position of more than $2M. The Dawsons have now started helping their own children with their property dreams, and Tony has used his expertise to help his local golf club develop and sell off some of its land. Most importantly, they’re able to put their feet up for a while and really enjoy what life has to offer. At the Ultimate Boot Camp, the Dawson’s were introduced to the concept of joint ventures. Tony hated the idea, and said that as long as his arse was still pointed at the ground, he wouldn’t do a joint venture with anyone. That was on the Saturday. After going through the options in detail the Dawson’s signed up for a joint venture with a fellow Ultimate student at 9 o’clock on Monday morning! In the space of just one week, they had inspected and financed a six-lot subdivision in country Victoria. While there were a few stumbling blocks, and the bottom line ended up being a bit smaller than first projected, each JV partner still made $80,000 profit on the deal. This was enough to give Tony and Marian some traction and give them the room to get creative. Liking the area where they had just completed the JV, Marion and Tony purchased a house with a substantial block of land, and over the next three months spent $50,000 on renovations. This development became one of the experiences that proved to be the most educational for Marion who had never done any kind of renovations. They also had their eye on the empty block next door, whose owner, unbeknownst to them was also the owner of a little cottage they had been renting during the renovations. By-passing the real estate agent who had been giving them the run around and going straight to the owner, the Dawsons got their son Jaryd involved. They lent him $150,000 to purchase the block and set up contracts for a joint venture. They have turned the two lots into an eight-block subdivision. With a driveway down the middle, they propose building two sets of three 2×2 units on Jaryd’s side, two 3×3 townhouses on their side, leaving an extra three lots at the front of Jaryd’s block for potentially three more townhouses. To minimise debt, they have sold the house they initially renovated and have begun the delicate process of meeting with the four objectors to their DA; however, they are confident that they can convince them this development will be extremely good for the area since there is a local hospital upgrade down the road, and there will be strong demand for the developed properties. 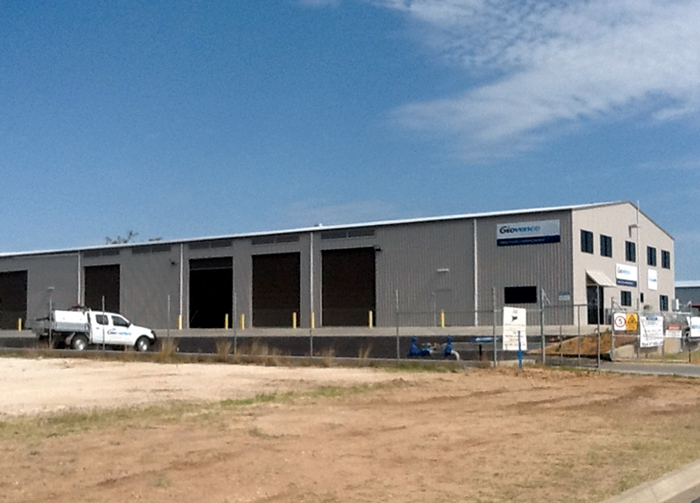 For a couple of years, the Dawsons have had an option on a large industrial block in Chinchilla, central QLD. In the past two years, the land has increased in value by $350,000 over the strike price and so they exercised the option and settled in 2012. With no immediate tenant, their bank needed $150,000 in a sinking fund, controlled by the bank. They began to build a 700sqm shed. It wasn’t long before a tenant turned up though, with a request to change the initial build to a two-stage shed, five offices, wash down area and an extra shed. These changes ended up costing the Dawsons an extra $400,000 on the build, but increased the rental value by $100,000, secured by a five-year lease that began in November 2014. This agreement has earned Tony and Marion a beautiful $210,000pa of passive income. What’s more, the tenant was so impressed with the work he has asked Tony to go ahead and do the same thing in five other locations around Australia. While reviewing their properties, Dymphna asked about what they were doing with their existing lot, which had Tony’s two sheds on it (his pride and joy). Since nothing was happening at the front of the block, Dymphna encouraged the Dawsons to think about some options. The Dawson’s inventive children got on the ground and researched the prospects of building and running the first gym in town. After some costing and evaluations, Tony and Marion are lending their children the money for the development, with the hope that the venture will prove to be a good passive income provider. Footings for the building went down in June this year. The Dawsons have a good many pots on the boil, and it seems the last four deals have only increased their appetites. In particular, they have found a new commercial tenant, looking for sheds around regional Victoria. They are willing to sign a 10-year lease, and for the last six months, Tony has been trying to broker the right deal for the client, applying his usual style of patient persistence. 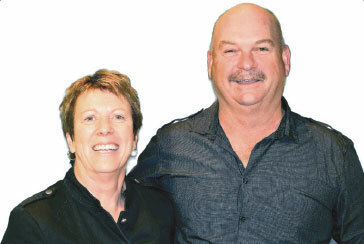 With a couple of favourable re-valuations on their shed and Line of Credit, the Dawsons have accrued almost another $1 million in equity, bringing their total equity over $2 million. In just two years they’ve increased their cashflow from 2.5K a year, to over $240K. Since he was a kid, Tony has been golfing in the local Robe golf course. Now there are plans to rezone the land into 60 lots. Tony has been helping out (for free) for the last four years and already has an option on the first ten lots. From there, he will also help in the construction of an 18-hole golf course that is currently being rezoned. The Dawson’s advice to new investors is to “use the tools available”. You don’t have to reinvent the wheel every time, and the strategies they’ve picked up through Dymphna’s Ultimate program have proven their worth time and time again. The Dawson’s also stress how important it is to have a community of like-minded investors around you – people you can check in with and bounce ideas off. They have built a number of lasting (and profitable!) contacts through the boot camps and events. Finally, the Dawsons believe in ‘pay-it-forward’. They believe that once you have the skills and expertise, share it around. Your experiences as an investor and as a developer make you incredibly valuable to your community, to your friends and to your family. They believe there’s enough success to go around and are only too happy to share.